It's such a shame there's no such thing as "Mods Anonymous"
"Hi I'm Mod Goddess and I'm addicted to clothes... and music, clothes, going out scootering, clothes, dancing... did I say, clothes? I'm sure I said clothes..."
This one's in your size and colours Laird. Ah awreddy own it Woody. I've got a similar one in black,red and cream from a few years ago. Noo that winter seems tae finally be aboot tae put in an appearance dahn sarf ah've invested in these. (20% Black Friday reduction tae ease the bill a wee bit). They look robust . .I've got my kit bag, my heavy boots I'm running in the rain , gonna run 'til my feet are raw. .
Ah look robust n'aw, so it's a fair cop. 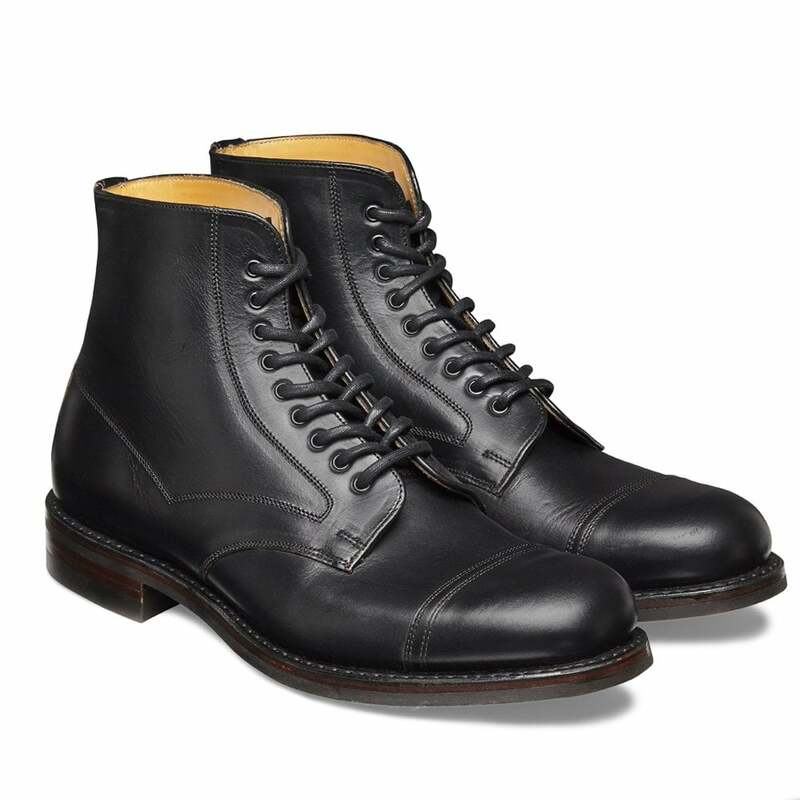 "Jarrow, our Men's Derby boot in Black Chromexcel leather. 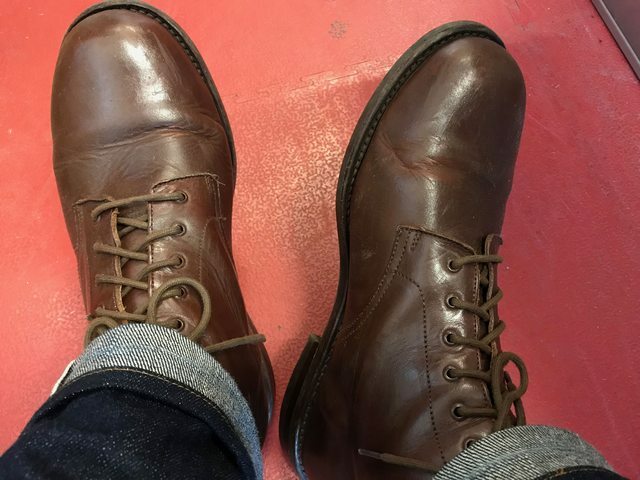 Goodyear welted for durability and finished with a Dainite studded rubber sole for superior comfort, Jarrow is an industrial-esque, rugged boot that's made to last." Indeed . Nice description , the leather does look like quality . I suspect they will be a bit too heavy though for outings on the supporters tandem . .
Actually bought them last year but as we're on the topic of Jarrow Marcher boots. These are from Aero leather. Love them. Felt perfect straight away, no breaking in. I went with the Dainite sole. In fact I like them better than the ones posted by the Laird.